Check out our Best VPN for Kodi guide updated for 2019. Kodi is without a doubt a system that you need to use a VPN with but finding the Best VPN for Kodi in 2018 can be confusing with so much information out there. Not to mention all the different Kodi VPN options available. With thousands of VPN providers it can be difficult to know where to turn when looking for the Best VPN for Kodi. In this guide, we’ve done the hard work for you. We’ve scoured the VPN market and tested a whole host of VPN providers with Kodi to answer the question, what is the Best VPN for Kodi in 2018? Best of all, we’ve condensed this down into the crucial information you need. So if you want to save yourself time, effort and money when looking for a Kodi VPN, take a look at our Top 5 choices below. IPVanish is our number one choice when it comes to a VPN service for use with Kodi. 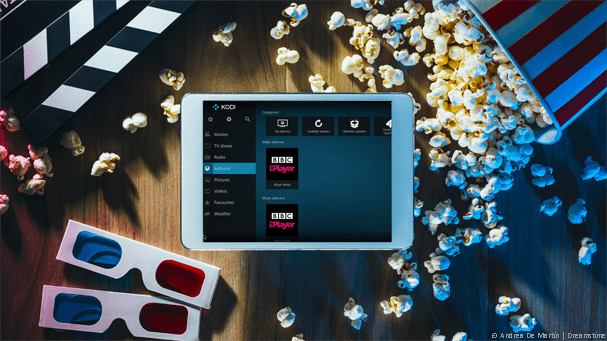 Without a doubt the standout feature of the service is their range of apps for Kodi enabled devices. If you’re one of the many users using Kodi on a Fire TV or Fire TV Stick then the dedicated Amazon app will help you connect easily. IPVanish is one of few VPN providers that offer a dedicated app for the Fire stick devices and within just a few clicks you can connect to protect your privacy and bypass censorship. There is also an Android app which is suitable for any Android based Kodi TV boxes. If you’re a Kodi user on any other device such as a Windows or Mac computer or even an iPhone or iPad then there are also apps for these devices too. In our tests we found IPVanish to be faster than all other VPN providers for streaming and with servers in 60 countries around the world plus a 7-day money back guarantee we recommend them for use with Kodi. ExpressVPN have VPN servers in more locations than nearly any other VPN provider so if you want to unblock content on Kodi from the widest range of countries then ExpressVPN is certainly the service for the job. Although they don’t have a dedicated Amazon app for Fire TV and Fire TV Stick devices running Kodi they do have an Android app which can be side-loaded using Downloader which works fine. Apps are available for Windows, Mac, Android and iOS so whatever device you use Kodi on you’ll be able to access the ExpressVPN service. There’s a 30-day money back guarantee available on the service which gives you plenty of time to test it with Kodi to see if it’s suitable for your needs. Although in our tests we had no trouble accessing blocked streams or watching other content on Kodi. VPN.ac is one of the best VPN services out there and this is no exception when using with Kodi. At the end of 2017 they released a dedicated Amazon app which is suitable for use with the Fire TV and Fire TV Stick. They also have an Android app so if you’ve got any kind of Kodi box connected to your TV then they’ll be suitable if running either type of Kodi box. If you run Kodi on a Windows or Mac computer then there is also software available for these systems and an app for iOS if you’ve got Kodi on an iPhone or iPad. There are fewer servers available on the VPN.ac service so if you need to connect to a specific country you’ll need to check out their server selection to see if it’s suitable for your needs. That said, VPN.ac is one of the cheapest VPN services available for use with Kodi and with their range of apps they really stand out for ease of use. 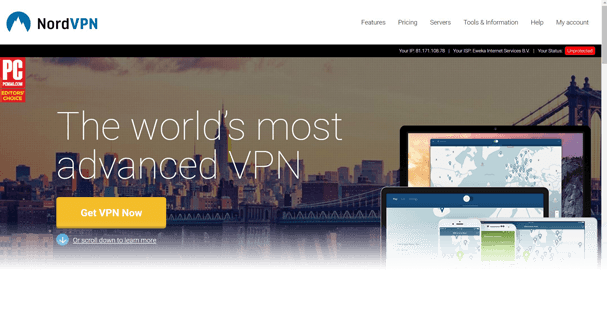 NordVPN have expanded massively in the past few years which is one of many reasons they enter our Best VPN for Kodi 2018 guide. While they don’t have a dedicated Amazon app for the Fire TV or Fire TV Stick like IPVanish and VPN.ac do, they do have an Android app which works if you have a blue tooth mouse in use with either device. Apps for Windows, Mac and iOS are also available if you use Kodi on any of these devices. One of the best features of the service is their 30-day money back guarantee which will let you test the service with Kodi to see it working for an entire month. Speeds on the NordVPN service are good and if you want to access blocked plugins or streams then NordVPN will definitely enable you to be able to do that. Private Internet Access otherwise known as PIA is one of the biggest names in the VPN industry and are trusted by millions. It goes without saying that they’ve made it into our Best VPN for Kodi 2018 guide. Software is available for Windows and Mac computers so if you’ve got Kodi installed on your desktop or laptop you’ll easily be able to connect to the Private Internet Access VPN service. Apps are also available for Android and iOS so if you’ve got any type of Kodi Android box or Kodi on an iPhone or iPad then you’re also covered. There is currently no dedicated Amazon app for the Fire TV and Fire TV Stick but it’s possible to use the Downloader app to install the Android app on a Fire TV device. While it doesn’t work perfectly such as the custom app from IPVanish, it is possible to get connected. Private Internet Access is one of the cheapest VPN providers around especially when taking their 2-year deal. So if you’re a savvy shopper for price then they’ll be right up your street. Kodi is ever changing and developing. Add-ons that worked last year most likely don’t exist this year. The same is true with VPN services. While one VPN service might have been great for use with Kodi in 2017, it’s unlikely to be the best in 2018. For that reason it’s important to consult guides such as this which are up-to-date and will help you get the Best VPN for Kodi in 2018. The five services listed above are the Top 5 VPN services to use with Kodi. Our recommendation is to sign-up to IPVanish because it works on almost all Kodi devices. However, the other 4 providers also make good choices too, all you need to do is select one of the five and enjoy protecting your privacy when streaming on Kodi. Absolutely. The purpose of VPN services is to protect your online privacy and streaming on Kodi is no exception. When you usually stream on Kodi without a VPN it’s easy for your internet provider and other companies to determine what you’re doing and possibly even what you’re watching. A VPN uses encryption to disguise your Kodi viewing habits allowing you to stream content without anyone knowing. Any good VPN service such as the five listed above will store either no logs or very little logs allowing you to watch content without any record of what you watched being stored. VPN services work with the Fire TV or the Generation 2 Fire TV Stick when Kodi is installed. If you’re unsure what generation Fire TV Stick you have, the Gen 2 is the one with Alexa voice remote. Not all VPN services are suitable for use with the Fire TV or Fire Stick because they don’t have dedicated Amazon apps. Two providers that do are IPVanish and VPN.ac recommended above. If you’ve got either a Fire TV or Fire TV Stick with Kodi installed then we recommend choosing either of those two providers because they’re the easiest to use. Most Kodi boxes that attach to TV sets are running the Android operating system, similar to phones. If you have an Android based Kodi box which you can tell if you’re able to access the Google Play Store and install apps on it then all five VPN providers listed above are suitable for use with it. All you need to do is sign up to one of the five providers recommended above. Then download their Android app directly onto your Kodi device from the Google Play Store. Alternatively, direct links to download the apk file are available on most of the VPN provider’s websites. Using a VPN with Kodi on either a Windows or Mac OS based computer, laptop or other device is probably the easiest to set up. All you need to do is sign-up to one of the five providers listed above which all have software available for Windows and Mac OS systems and install it. You can then simply connect via their VPN software and then launch Kodi to get protected and access blocked content. If you’ve got either an Android or iOS phone or tablet with Kodi installed then it’s really easy to use a VPN. Once you’ve signed up to one of the five recommended providers above, just visit either the Google Play Store or the Apple App Store and download the app for your device. All you need to do then is launch the app and connect to the server of your choice to protect your privacy. Often content you want to stream is blocked for various reasons. The most common being it is restricted for viewing in one specific country. A VPN will allow you to change countries so you can bypass any restrictions and access blocked content. If you want to access TV from abroad, content that is blocked in your region or other blocked content then a Kodi VPN is definitely the answer. Choosing the Best VPN for any device can be confusing but especially when it comes to choosing one for Kodi. With so many options you’re not alone in not knowing where to turn. The five providers listed above came out top in our recent tests for VPN services for use with Kodi. They’re also some of the easiest to use which will help you protect your privacy, access blocked streams and more. All that’s left for you to do is choose one of the recommended Kodi VPN providers above and sign-up.